Generally kangaroos are not as photogenic as their wallaby cousins, but this little grey joey was an exception. 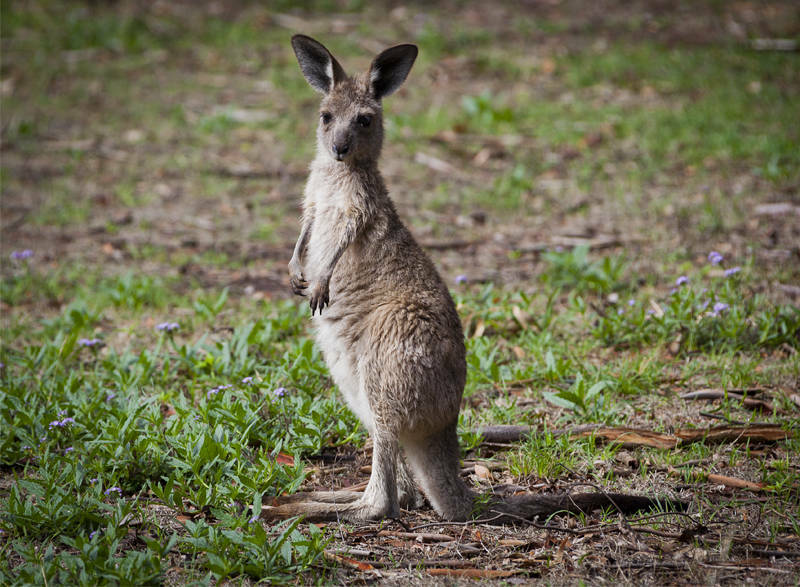 I would like to get a shot of a big adult red kangaroo as it is Australia’s largest native animal, but all our encounters so far have been too brief to get a good shot. We are visiting Peak Hill Mine today before our final dash to Sydney to get our flight back to the UK.